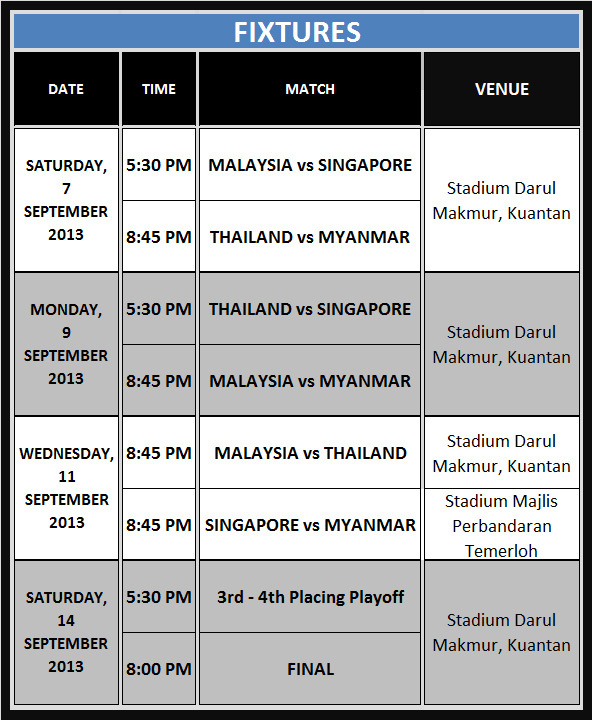 Merdeka Cup 2013 – footsteps……..
Fixtures for this years Merdeka Tournament has been released and I copied this schedule from Ticketpro. Matches will be played at Stadium Darulmakmur, Kuantan and Stadium Majlis Perbandaran Temerloh, Temerloh, Pahang. For purchasing tickets online go HERE. To recap, the tournament was incepted in 1957 to honour Merdeka in the same year and Hong Kong emerge as the first champion after defeating Indonesia. Malaya emerge champion the following year defeating Hong Kong. As a record, Malaysia (Malaya included) emerge as Champion for 9 times followed by South Korea and Myanbar (Burma) with 7 wins and 3 wins. The tournament was cancelled in 2009 while it was not organised from 2010 -2012.
Credit: All images belongs to ticketpro.